This review first appeared in the June 2013 issue of hi-end hifi magazine fairaudio.de of Germany. You can also read this review of Krell's Evolution 2250e in its original German version. We publish its English translation in a mutual syndication arrangement with the publishers. As is customary for our own reviews, the writer's signature at review's end shows an e-mail address should you have questions or wish to send feedback. All images contained in this review are the property of fairaudio or Krell - Ed. More than 30 years have passed since Dan and Rondi D'Agostino launched a massive class A power amp called KSA 100 with studio-gear handles and with it the Krell brand which over the decades following left a deep mark on hifi history. Much happened since. Dan and Rondi got divorced (more newsworthy to The Sun than us) and after involvement of an investor group, Dan D'Agostino left Krell to lend his name to a new brand devoted solely to amplification. Towards the end of the 80s Krell had begun with D/A converters and the present portfolio even has streamers, iDocks and loudspeakers. Yet if my overview of current Krell amps on the German importer's website is any indication, handles are no longer with us. Which isn't to say they wouldn't come in handy. Powerful heavyweight transistor muscle amps remain a specialty of this Orange/Connecticut-based once legendary brand. For review we picked the smallest most 'portable' current stereo model. 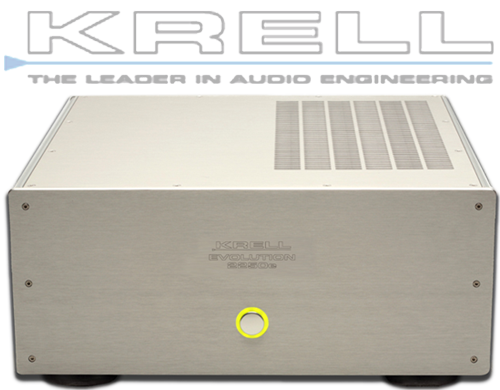 With the Evolution 2250e's fighting weight of 35kg which is how one enters the world of Krell power today, all that's relative of course. Visually too the amp looks decidedly grown up and – well, professional. The first impression relates directly to the 42.8 x 19.3 x 48.6cm WxHxD dimensions for proper size. The second ties to a no-frills near laboratory industrial design sans flourishes or manly heat sinks. A slightly wavy profile on the cheeks suffices. Upon close inspection of the fit'n'finish one is back to professional. Immaculate surfaces and tight seams elude criticism. Whilst socketry looks nothing spectacular, it's perfectly solid in use. 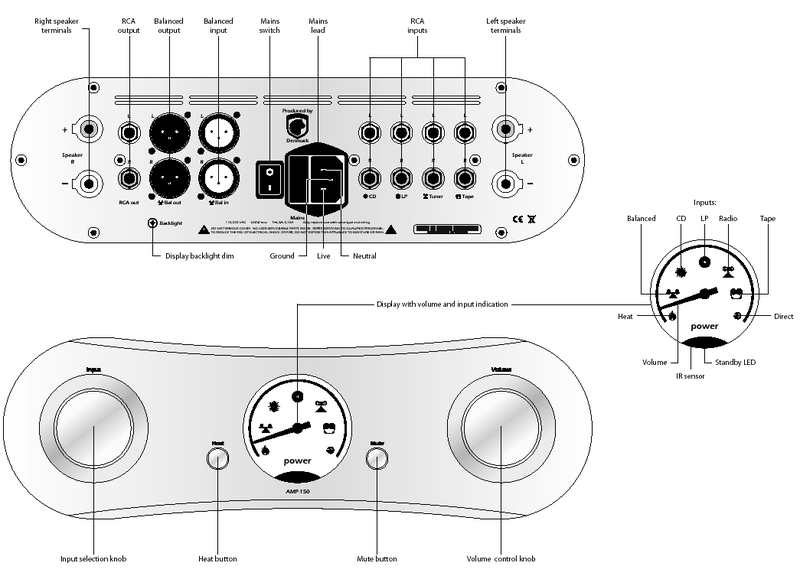 Four switches respond with confidence-inspiring action – two small toggles select between XLR/RCA inputs, another one in the back switches between off and standby. The big frontal button then awakes the amp from sleep mode. This is accompanied by blue, green and red light accents – not to have each family member select their favorite color for music listening but to indicate operational status. Which begs the question as to why distinguishing between 'standby' and 'on' requires more than two colors. It's because the Krell has two types of standby. One is a 2W-consumption eco mode intuitively indicated by green, the other a ca. 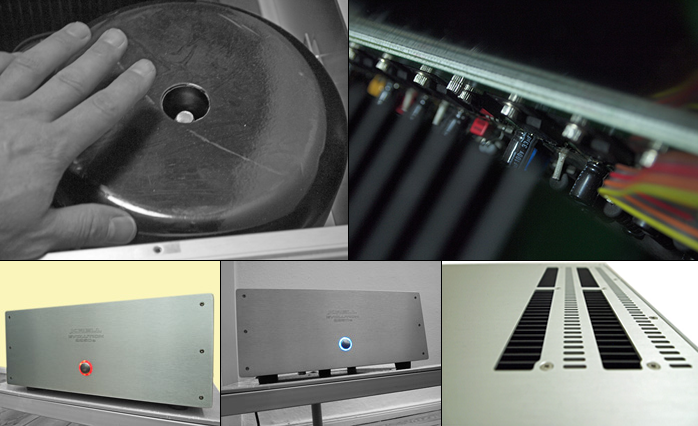 40-watt warm-up mode which keeps core circuitry active as confirmed by a red light pipe.